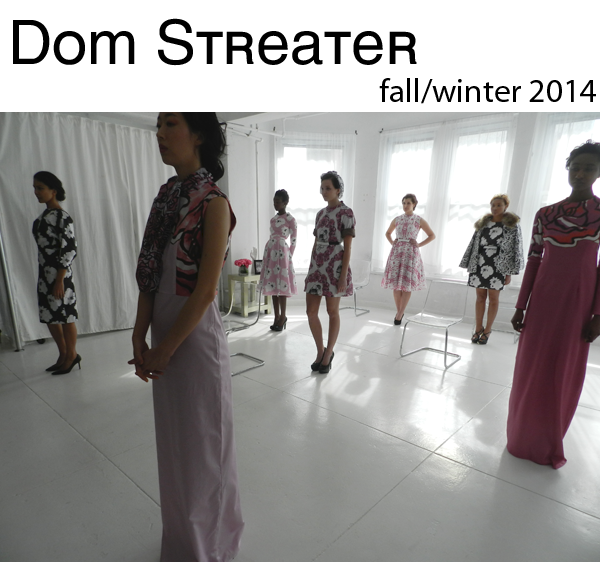 Dom Streater made her first after Project Runway debut yesterday in a inanimate airy space. 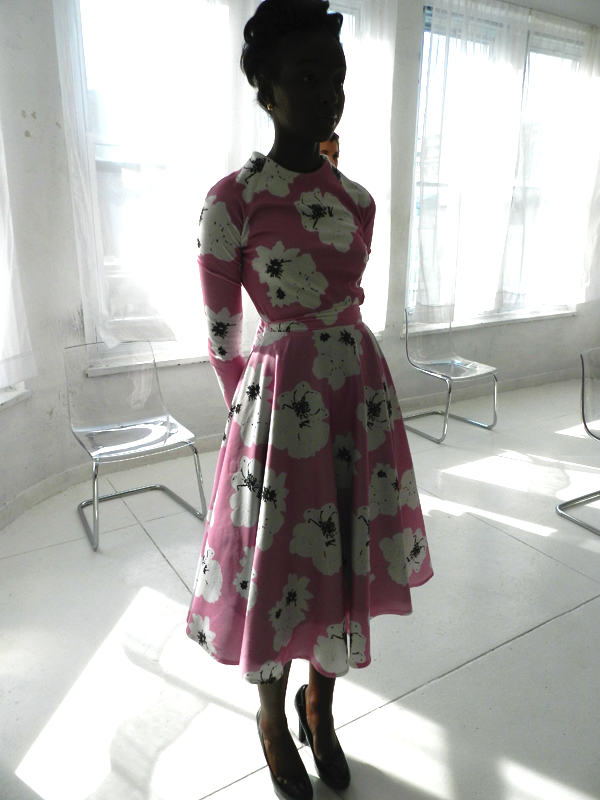 The white room and beautiful natural light played in perfectly into her very feminine collection. The playful dresses didn't remind me of fall at all, but more of a garden party. Some of her little coat pieces would be perfect for those cooler fall days. 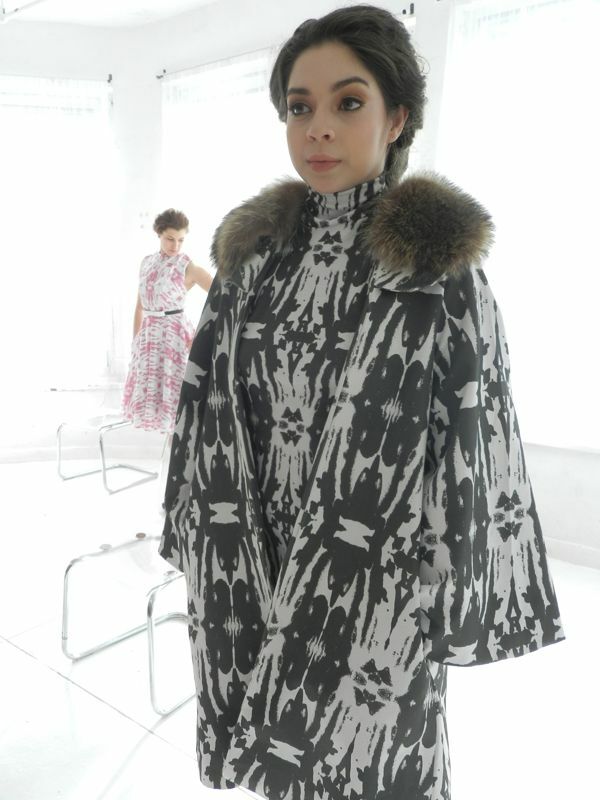 Without a doubt Streater stayed true to the designer that she showed she was on Project Runway and used her strength with prints. all pictures taken by me. see more photos here. I was truly lucky to not only view this show but have a short chance to chat with Streater as well. She is everything you would hope she would be. I cheered her on while watching her season Project Runway and was elated when she won. She is by far one of the sweetest and coolest designers I have had the chance to meet. Honestly, talking to her was more like chatting with a friend then a designer and it all started organically...it was over my lipstick color! Also she is my sole sister. She was rocking a pair of awesome white Jeffrey Campbell's and admitted her love for the brand. I truly wish nothing but the best for Streater. This line was beautiful and elegant. There's a little something for every age, more fun prints for the younger gals and beautiful tailored dresses for the sophisticated woman. 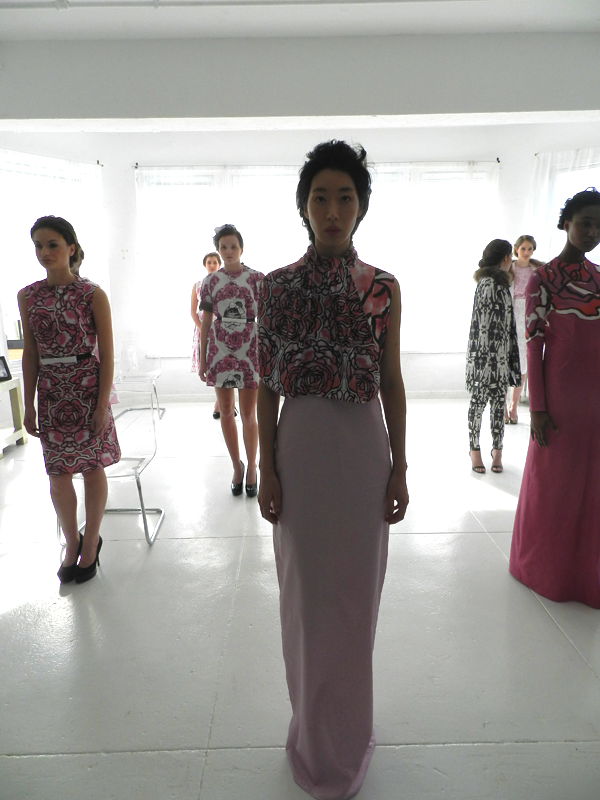 What do you think of Dom Streater's first collection after Project Runway? That's so cool that you got to meet her! She was one of my favorite designers ever on Project Runway and I was so thrilled when she won because she just seems like a really nice person. These prints are beautiful- I particularly love the one in the third photo! Congrats on being able to blog this. Lovely photos in the room of all white. Love the pink floral dress.